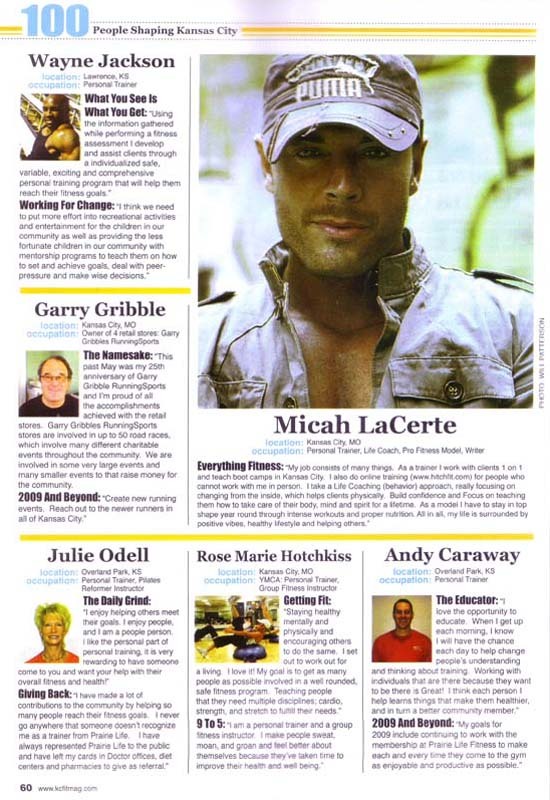 in Kansas City – According to Kansas City Magazine. Diana and I are happy to be recognized for exactly what we try to be doing: shaping lives for the better! Congrats to everyone on this list. Every city needs many more than 100 people helping shape lives for the better. This article comes out everywhere on July 22 but its on the shelf at Barnes and Noble right now. The article highlights all kinds of folks that are doing positive work to help others. Its not just fitness or nutrition, but positive life style design and giving back to others even in the smallest ways that make for a successful life.